Little, Brown Books for Young Readers, 9780316121873, 304pp. The first thing I hear is music. The first thing I've always heard is music. Meet Marley, an unassuming high school junior who breathes in music like oxygen. 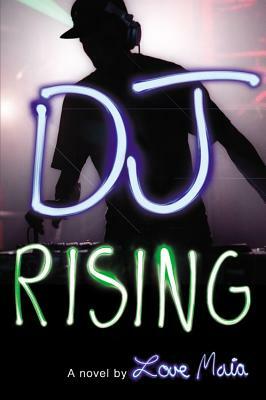 In between caring for his heroin-addicted mother, and keeping his scholarship at a fancy prep school, he dreams of becoming a professional DJ. When chance lands Marley his first real DJ job, his career as "DJ Ice" suddenly skyrockets. But when heart-rending disaster at home brings Marley crashing back down to earth, he is torn between obligation and following his dreams. Love Maia has worked construction, flown planes, and starred in an infomercial. As a writer, she relates deeply to her main character, Marley, sharing his passion for music and his belief in dreaming big. She loves the freeing energy of the club world, as well as pizza, kickboxing, butterflies, death metal, and underground hip-hop. When not hard at work on her next novel, Love can be found playing drums in an alternative rock band at various bars and clubs around San Francisco.